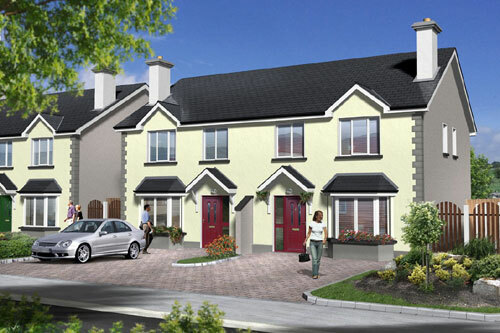 Clochrán is the name of the new development at Kilcloghans, on the outskirts of Tuam Co. Galway. Following the success at Tom McHugh’s recently completed development known as ‘The Meadows’, this top quality builder is now in the process of building a further 199 new homes and phase 1 is now well under way. 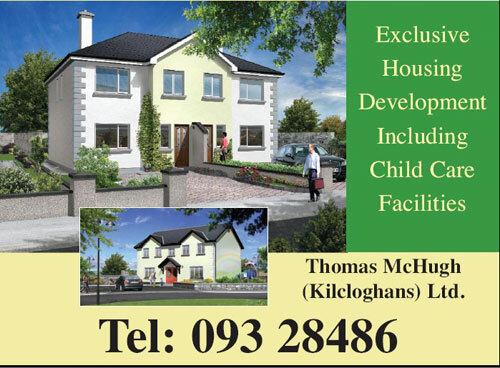 Thomas McHugh (Kilcloghans) Ltd. can offer a variety of timber framed homes, ranging from 3 and 4 bedroom Semi-Detached, 2 and 4 unit Town Houses, and a small number of distinctive luxury detached homes. This development has been extremely well thought out and will incorporate a Crèche, attractive and functional green areas, indigenous trees, natural stone walls, paved and planted walkways and a recreational facility. The area will also feature an attractive courtyard area and when complete. Outdoor seating will allow the residents to savour the full experience of truly pleasurable environment.